With one week left of the summer transfer window, Manchester United are being linked with moves left, right and centre. So far this summer we have only signed young full-back Diogo Dalot, central midfielder Fred and experienced goalkeeper Lee Grant. We had been strongly expected to land a new centre-back, left-back and right winger by now. It looks as though we are preparing to fill one of those positions as the Express are reporting that Jose Mourinho is ready to switch his attention away from Internazionale star Ivan Perisic and go after Napoli’s Dries Mertens instead. Only last week did the boss confirm that we would ideally like to bring two more players to Old Trafford before the close of the transfer window on 9 August. So far we have failed in our attempts to sign Perisic, Gareth bale and Willian, whom we’ve all been strongly linked with. 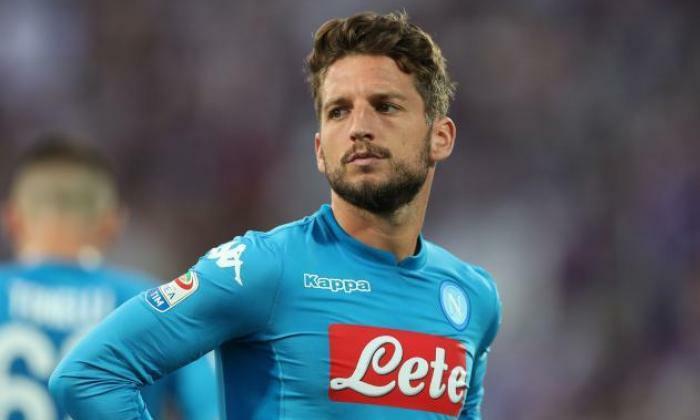 As we’re being forced to look for alternatives, the Express are citing a report from Transfermarketweb that claims Jose is ready to switch his attention to Napoli ace Mertens instead. It is understood that the Italian side are prepared to cash in on the 31-year-old goalscorer this summer if we’re prepared to put £35 million on the table. Dries Mertens has been an excellent player for the Naples club since joining from PSV Eindhoven back in 2013. The forward has scored 90 goals and recorded 58 assists in his 233 appearances for Napoli over the past five seasons. This included 21 goals last season to help his side compete in the title race with Juventus until the end of the Serie A season. However, the 2014 Coppa Italia and 2014 Supercoppa Italian are the only honours he has to show for his time in Italy. Mertens also enjoyed an excellent 2018 World Cup as he played a starring role for third-place finishing Belgium . The 31-year-old is an excellent player and based on his performances last season and in Russia over the summer I’d certainly say he can deliver in the Premier League. There’s no doubt he’d be able to score in England so it would be great if we can make him a Manchester United player over the course of the next week.